A recent blog post from ‘An Avocado A Day’ provided a useful starting point for when and how to introduce your baby to solid foods. 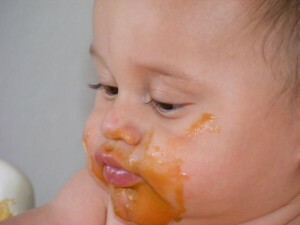 We liked the author’s mention of how surprisingly emotional the experience of weaning and starting solids was. A lot of people don’t acknowledge that this can be a sentimental and sometimes emotionally difficult time for moms. Breastfeeding creates a unique bond between mother and child, and while the introduction of solid foods doesn’t mean an end to breastfeeding, it’s an important step in your baby’s development: one that should be treated with care. Moms who are ready to start introducing solids will benefit from detailed research, a consultation with a doctor or dietician, or joining a group workshop, like the one we hosted in September. It’s always a good idea to find intelligent articles online however, as a means of doing your preliminary research. This one included some helpful tips that mothers may not be aware of. Food sensitivities have many symptoms: Pick one food at a time every four days, and keep an eye out for reactions. This doesn’t necessarily just mean the ready associations we might have with food allergies, like hives or trouble breathing. Look for altered behaviours, shifts in sleep patterns, visible symptoms like rashes or dark circles under the eyes, and changes in bowel movements. 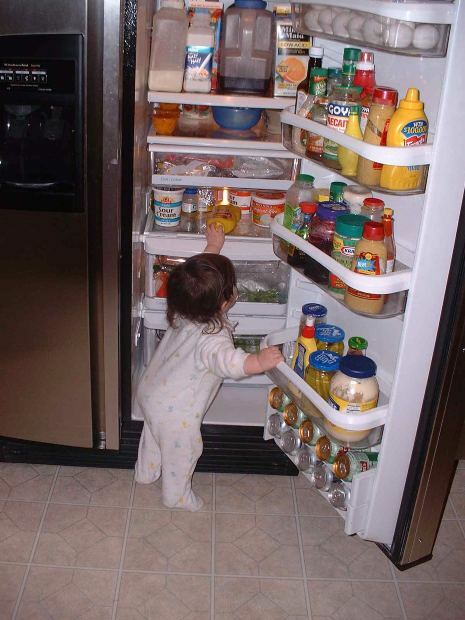 Be patient: Don’t be upset if your baby’s first reaction is to play with her food or throw it right on the floor. Like breast-feeding, this is a way to bond with your child and prepare them for the many meals you’ll share together. Have fun! Like adults, babies have individual digestive systems. That means that what works for one baby might not be ideal for another. If you haven’t yet consulted with a trusted source, book an appointment for a naturopathic consultation. It’s an easy way to put your mind at ease and gain some valuable insights into food introduction that are accurately and insightfully tailored for your baby’s individual digestive system. Remember that if it’s a stressful process for Mom, it’s going to be stressful for Baby. If solid foods are on the horizon for you and your baby, keep an eye out on the Thrive Health events page. We typically host food introduction workshops every few months. With the right approach, introducing solids is an exciting developmental phase as your baby grows. It’s neat to discover what your child likes and dislikes, and you’ll find that new forms of bonding and routine come from sharing meals together face-to-face.